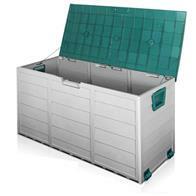 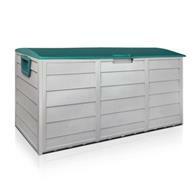 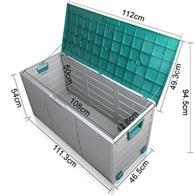 This outdoor storage box is ideal for those who love gardening and auto work on the weekend. Specially designed for outdoor use, the storage box is made of heavy duty polyethylene material for a durable, weather proof and rust-free body. The storage box is equipped with an adjustable lid, wheels and handles for easy mobility, and it is also lockable for additional security. All you need is to get a lock and tap it into the hole. 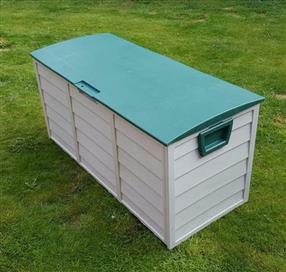 Easy to assemble without needing any tools, the outdoor storage box will be the solution to keep your tools dry and secured.